If you work as a veterinarian, or own a pet care / pet grooming business, you take your responsibility for the animals you care for very seriously. 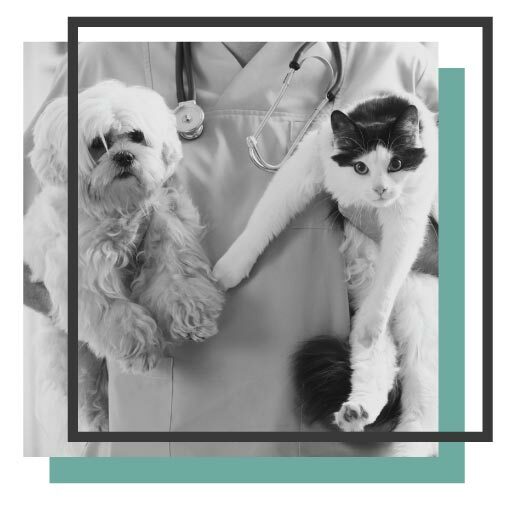 Just as a doctor would be certain to have insurance as they take care of people, you’ll need the appropriate insurance to cover your business while you take care of someone’s pets. If you run a veterinarian’s office, you’ll need to cover more than just your building and the items in your office. Much like doctors and dentists, a good veterinary insurance plan includes malpractice insurance in case something goes wrong or an accident happens. If an animal suffers an unforeseen issue you can be held responsible in court. Veterinarian malpractice insurance will cover your business if you or any one member of your staff makes an unfortunate mistake. Van Leer & Edwards Insurance Services offer policies to not only those who work on small animals, but also in the equine field. We also provide insurance for veterinarians who work in offices or in the field. Our veterinary insurance specialists will help you find the right policy for your business. Get in contact with us today to get a quote for veterinary insurance! There are numerous types of pet care businesses. Making certain that you have the appropriate amount of pet care insurance can be difficult. At Van Leer & Edwards, whether you run a dog-sitting business out of your house or a high-end pet boarding hotel, we know what it takes to make sure you have the right amount of pet care insurance. We also understand that it’s important to cover you, your business, and the animals you care for. Your client’s emotions can run high when it comes to their beloved pet. Any kind of incident can be problematic for your operations. Having the appropriate pet care insurance policy will give you the peace of mind to help you focus on what you do best. Having general liability insurance is a must for your pet care business. This will cover you against common situations like a dog biting someone at your office or when a pet is hurt while under your care. The type of work that you do with pets will affect the amount and type of insurance coverage your business needs. It is best to consult with one of our pet care insurance specialists. Contact us today to schedule a consultation or request an insurance quote! Van Leer & Edwards offers insurance coverage for all type of pet groomers. We offer coverage for groomers who operate their business from a building and for mobile groomers who travel to the customer. Pet and dog grooming insurance is a vital component of any groomer’s business. It protects you in case something goes wrong and gives your client peace of mind when you are treating their loved one. The insurance specialists at Van Leer & Edwards can devise a policy that is perfect for your business. Contact us today to learn more about insurance for your pet grooming business.